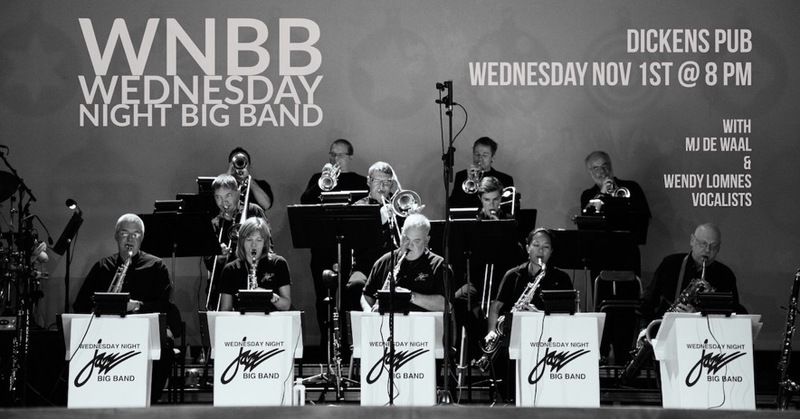 The Wednesday Night Big Band returns to Dickens Pub on November 1st. We’ve been working on a great set of new songs and old favourites. Wendy Lomnes and MJ de Waal are both singing with us! Great food, staff and beer at Dickens, so come early and say hi!